If you are looking for a new hair supplier with flexible pricing, fast delivery and high-quality control, then look no further than at AiryHair. We have started working with extensions all the way back in 2004, so you can count on our commitment and close to 15 years of experience producing hair extensions every single day. The minimum order quantity is 10 kilograms. This page is specifically designed for major customers who are looking to buy hair extensions in big bundles. For lower quantities still in wholesale, please visit our discounts page. How Many Pieces Come in a Bundle? 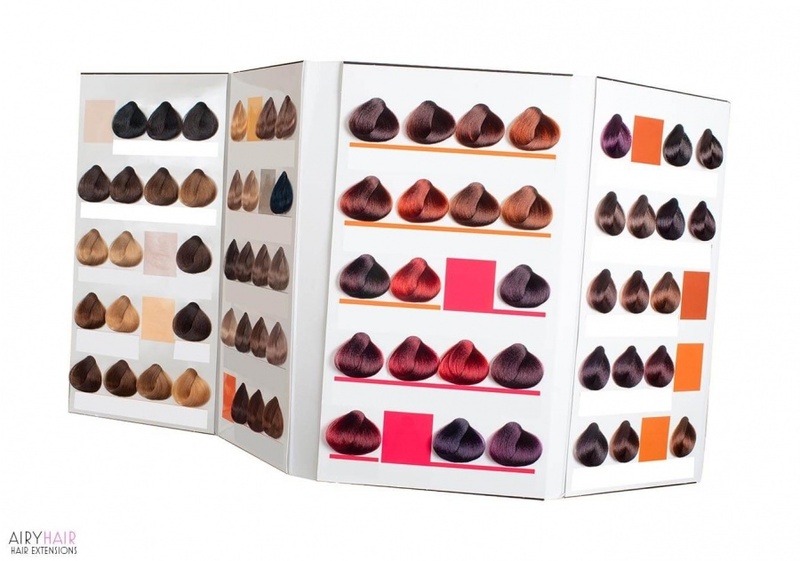 The number of hair extension pieces or strands depends on your order. You are free to select as many or as few units as you like. What about Hair Accessories in Wholesale Quantities? AiryHair also offers a variety of professional hair accessories and tools at great discounts when buying in bulk. For a full selection, please visit the following page. Looking for a color ring? We got you covered. Can You Include My Card Inside the Package (Branding)? Yes, when contacting us, please mention that you are interested in branding and if possible, include a link to download high quality logo in PSD or PDF formats. The minimum order is just 1,000 cards with a price of $0.3 - $0.5 per unit (excluding shipping costs). Since samples are limited to a single random strand of hair, we suggest placing a regular order first (with a color ring) to test the quality. AiryHair extensions are made of the real human hair and we are confident that as soon as you open the package, the softness of our extensions will make you fall in love with our product. How Good Are Your Retail Hair Extensions? Our retail and wholesale hair extensions are exactly the same. We could tell you how awesome the hair is but instead of taking our word for it, we ask you to check thousands of reviews that have been posted by AiryHair clients worldwide. Use the form above to place the order and we will contact you afterwards. Have any questions? Send us a message or call 800-897-7708.